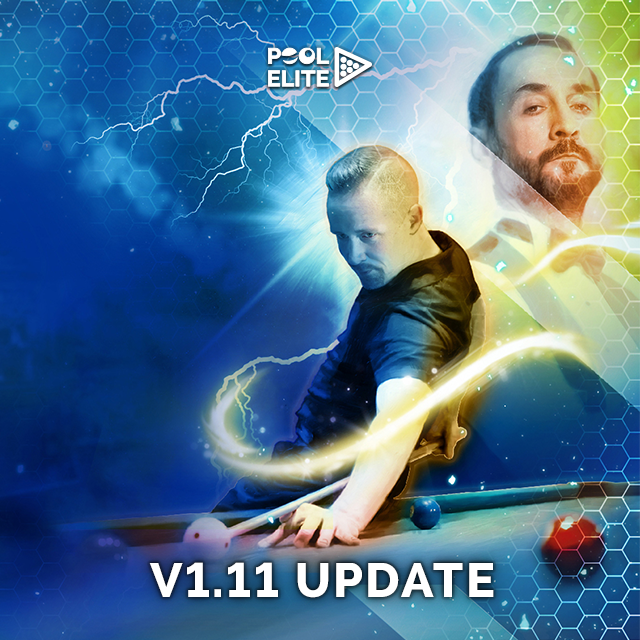 Pool Elite – V1.11 Update is Live! Pool Elite V1.11 Update is Live! Hello everyone, V1.11 Update is finally here and we mainly focused on improving UI and user experience with this update. What’s new? The new name of Select Bet Amount screen is now Championship. In addition to nice polishing work, we’ve added your balance info to top and name of game mode you’re about to enter as subtitle. On new Become a Champion screen, we’ve removed 4th round box in order to create a better user experience. Now it’s easier to understand for new players that after 3 consecutive wins, we will become a champion. We also added Quit Tier button to this screen as it was requested by our players. Using Quit Tier button allows you to quit that Championship without losing any match or becoming a champion. As we did many beautiful changes on multiplayer mode screens, we also worked to create better Select Game Type screen, too. Now it is easier to see all game modes in one screen with a well-designed bright background. -We added a new challenge game; Elite Challenge! You can start playing it by following Play > Solo > Elite Challenge steps. -We’ve added winter theme to main lobby with a snowfall animation. -Some nice animations are added to our game, you will be able to see them if you are using Medium and High graphic settings. You can set your graphic quality from Settings menu. -We will see our Profile Picture on main lobby instead of seeing our league division icon. -We zoomed in-game default Top View a little bit more after having some request for it from our players. -SOLO menu is unlocked for new players, it was previously had a level requirement. -On practice mode the colliders while picking and placing balls were small. We made them bigger so it is easier to select them now. -We made some improvements for freeze issue. As we already know, some of our players from Asia with a bad internet connection could affect the quality of match. Thank you for your support and comments! If you experience with any issue, please feel free to report it to us. We need to say that we already started to work on your feedback for our future updates.